What is it about certain cities that makes you want to come back before you have even left? Some cities barely register as you pass through, clutching your Lonely Planet. 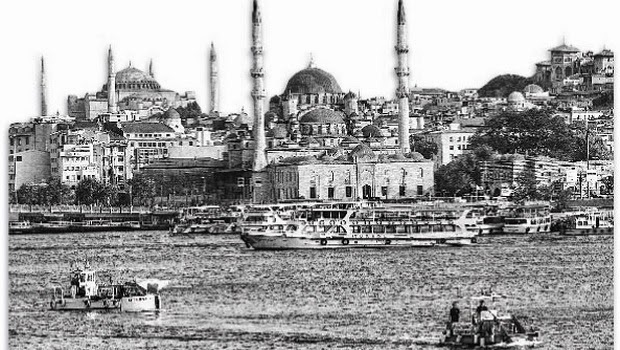 Some assault your senses, some make you want to leave as soon as you can and then there are some that leave you slightly breathless, wondering why it took you so long to get there — Istanbul falls squarely into the last category. The Capital of the Roman, Byzantine and Ottoman empires, a city across two continents, City on Seven Hills, Cradle of two religions, Istanbul wears its many labels lightly. Modern day Istanbul is a buzzing metropolis. Istiklal Caddessi, the Champs Elysee of Istanbul, is the modern face of Istanbul — a vibrant street, lined with fashionable boutiques, trendy cafes, music stores and hip new restaurants. A short trip on the very efficient metro will deposit you in Sultanhamet, the historical part of Istanbul. This is the Istanbul of post-cards and movies.